Congratulations to February’s MMSF Turkey Shoot Hot Shots! Thanks to everyone who came out for pool, darts, and pistols at The Winner’s Circle and Original Bob’s Shooting Range (both in Salisbury, MA) last night! More photos of the night (from Marie Hanabusa) can be found here and from Stacie Sousa French can be found here. The next Turkey Shoot is March 29th, 2013. You can get your tickets online here! 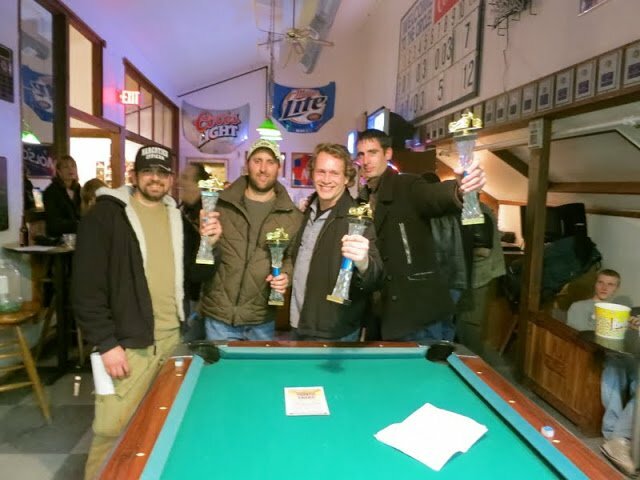 This entry was posted in Events, Supporters and tagged events, mmsf, originalbobs, turkey shoot, winners circle on February 23, 2013 by mmsf.